다른 포스트를 읽었다면 덴마크의 크리스마스에 관한 것은 거의 모두 알고 있을 게다. 하지만 크리스마스는 노래와 이야기로 가득한 날이기도 하지. 모든 이야기에는 언제나 두 가지 면이 있게 마련이고. 그러니 이제부터 옛 노래 몇 곡과 크리스마스를 다른 덴마크인이 어찌 생각하는지 ‘들어’보자. 세계 모든 나라에 있다. 몇몇은 같고 몇몇은 다르다. 맞다. 크리스마스 캐럴 얘기다. 루돌프 같은 캐럴은 세계적으로 퍼져있다. 단지 언어만 달라질 뿐이다. Rudolf, Rudolph, 루돌프처럼 말이다. 만일 당신이 덴마크에 있다면 루돌프뿐 아니라 다른 캐럴도 영어로 부를 거다. 한국말로 ‘울면 안 돼’라고 하는 ‘Santa Claus is Coming to Town’같은 곡은 거진 영어로 부른다. 그렇다고 덴마크에 크리스마스 캐럴이 없다는 얘기는 아니다. 덴마크 캐럴도 꽤 많다. 음 미리 인정하고 넘어가겠다. 덴마크 캐럴은 조금 괴상할 수도 있다. 그래도 여기서 가장 유명하고 흥미로운 덴마크 캐럴을 소개하겠다. 크리스마스 언저리나 아무 때나 맘 내킬 때 우리가 부르는 노래다. 처음으로 소개할 노래는 ‘Højt fra Træets Grønne Top’다. 영어로 번역하면 ‘High from Trees Green Top’다. 이 노래는 무척 길다. 여기서는 첫 두 소절과 마지막 소절만 번역하겠다. 크리스마스 이브에 트리 주변에 둘러 앉은 가족을 그린 노래다. 가사는 전신기술자이자 작곡가 피터 파베르(Peter Faber)가 1848년 지었다. 다음 노래는 원래 어린이용 캐럴이다. 하지만 나이가 얼마든지 이런 노래는 당신을 행복하게 해주잖나. 산타의 작은 도우미인 요정들은 덴마크 크리스마스에 무척 중요하다. 그러니 이들을 기리는 노래가 없다면 이상하겠지. 이번에 소개할 노래는 ‘På Loftet Sidder Nissen(On the Attic the Elf is Sitting)’다. 마그레테 문테(Magrethe Munthe)가 1911년 즈음에 만들었다. 마지막 노래를 소개할 차례다. 이 노래는 좀 횡설수설한다. 가사가 점점 더 복잡해져서 뒤로 갈 수록 따라부르기 어렵기 때문에 술자리 게임에 부르기 안성맞춤이다. 오토 브랜덴버그(Otto Brandenburg)가 1969년 지었다. hør på Søren Banjomus, han spiller nemlig nu. Vi glæder os til juleaften, så blir træet tændt og vi får fine julegaver, iihh, hvor er vi spændt! Skillema-dinke-dinke-du, skillema-dinke-du, bar´der altså snart var jul. han er så mæt, for han har spist et stort fad julegrød. og drømmer om de gaver han skal gi´ til byens børn. som altid er så fræk den drømmer sødt om røget sild med flødeovertræk. en munter lyd af banjo-sang. ja, selv den allermindste mus, som knap nok kunne gå. Listen to Søren Banjomouse, cause he is actually playing now. We are looking forward to Christmas eve, then the tree will be lit and we get nice Christmas presents, Ihhh we are so excited. Skillema-dinke-dinke-du, skillema-dinke-du if only it was Christmas soon. And dreaming of the gifts he is going to give to the cities children. A happy sound of banjo-song. And while they dragged away with cheese and Christmas goodies they hummed this song. 지금까지 내 의견과 경험으로 덴마크의 크리스마스를 설명했다. 그래서 내 친구와 가족한테 크리스마스가 어떤 의미인지 물어봤다. 오래된 캐럴도 알아봤으니 40세가 넘는 덴마크인 2명의 목소리도 담았다. 덴마크인에게 크리스마스는 무슨 의미인지 들어보자. One of many elf´s that loves playing on an instrument. this elf is playing a trompet. 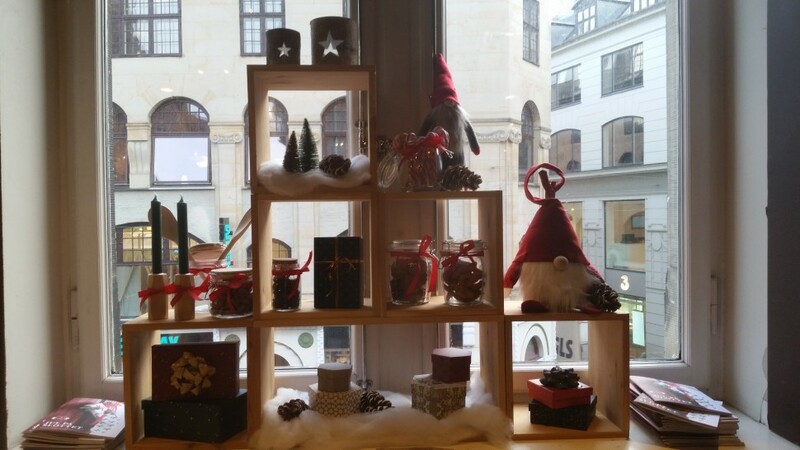 If you have read the other articles you know almost everything there is to know about Christmas in Denmark. But Christmas is also a time for songs and stories. There is always two sides of the same story. So let’s learn some the old songs and “listen” to other peoples opinion about Christmas. We all have them. Some are the same and some are different. Yes I’m talking about Christmas songs. Some Christmas songs are international just translated to different languages like Rudolf – Rudolph – 루돌프. However if we in Denmark are using an international song beside Rudolf we tent to sing it in English like “Santa Claus is coming to town” aka – 울면 안돼. That doesn´t mean we doesn´t have our own Christmas songs. We do have a lot of songs and I must amid that they can be a little bit weird. However I will introduce you to 3 of the most famous and funny Christmas songs we sing around Christmas or whenever we are in the mood. The first song we are going to look at is – Højt fra træets grønne top ( High from trees green top). This is a very long song so I’m only going to translate the first two verses and the last verse. This song is about a family on Christmas eve. The text is written by Peter Faber in 1848. The next two songs I’m going to introduce you to is actually Christmas songs for children but no matter how old you are these are songs that will make you happy. Since elf’s (Santa’s little helpers) is very important for the Danish Christmas it would be strange if we wouldn´t have a song about them. 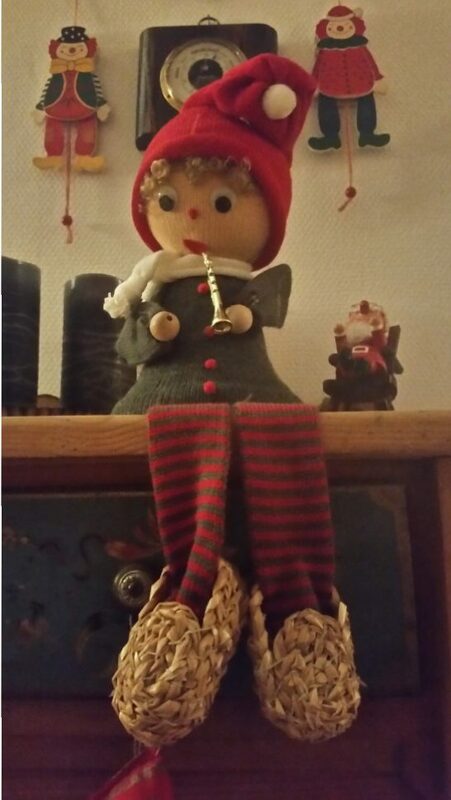 This next song is called – På loftet sidder nissen (On the attic the elf is sitting). It’s made by Magrethe Munthe around 1911. Time for the last song. This song is a bit of a babbeling song. It’s also great for drinking games since its just getting harder and harder not to screw up the lyrics. It’s made by Otto Brandenburg in 1969. Skillema-dinke-dinke-du, skillema-dinke-du hør på Søren Banjomus, han spiller nemlig nu. Skillema-dinke-dinke-du, skillema-dinke-du kom og syng og dans med os, det syns vi, at I sku Vi glæder os til juleaften, så blir træet tændt og vi får fine julegaver, iihh, hvor er vi spændt! Skillema-dinke-dinke-du, skillema-dinke-du, bar´der altså snart var jul. På loftet sidder nissen, ham I ved der er så sød han er så mæt, for han har spist et stort fad julegrød. Nu sidder han i stolen, og han snorker som en bjørn og drømmer om de gaver han skal gi´ til byens børn. og Lurifax, hans kat, som altid er så fræk den drømmer sødt om røget sild med flødeovertræk. Så pusler det og pludselig fra musehulllet klang en munter lyd af banjo-sang. This is one of the many different kinds of Christmas decorations that you will find in the stores.